Kevin has been with Harrison Assessments Int'l for 20 years and he started as a country manager in 1995. He has been instrumental in expanding the company's presence from Nordic to UK, Europe, India and China. During this period, he worked with multi-national companies in talent assessment, behavioural competency design, performance benchmarking and succession planning. Kevin graduated with a degree in Accounting and Finance from Murdoch University. 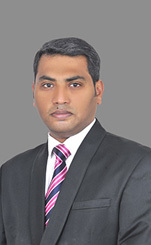 He is certified in Dale Carnegie personal management program from Australia. Kevin worked at PriceWaterhouse in business advisory before finding his true calling in talent assessment and human resource development. Roni has 20+ years of experience in business management, with expertise in operational efficiencies and client satisfaction. Roni was introduced to Harrison Assessments while working for Impact Achievement Group, a Managing Partner in the US, and quickly developed a strong interest in the company and its talent solutions. 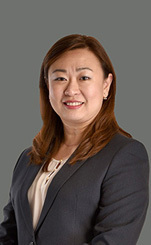 In the last 8 years, she has provided exceptional client and partner support; assessing needs and providing education and training on the full potential of Harrison Assessments' solutions to existing and new clients and partners, coordination of accreditation training, and prospecting for new client and partner opportunities. In addition to day-to-day operations, she is responsible for oversight of the Partner network to ensure team accountability and quality of service in the Americas. 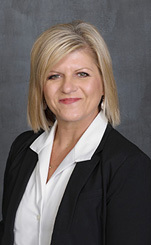 Prior to Harrison Assessments, Roni held the position of Branch Manager for the largest equipment rental company in the world, responsible for leading strategic initiatives, operational efforts, and financial performance. Alex finished his Bachelor's Degree in Electrical Engineering and was awarded the Postgraduate Scholarship from NSERC. He then completed his Master's Degree in Computer Science and was recruited by a major IT vendor doing research and development for their database product. 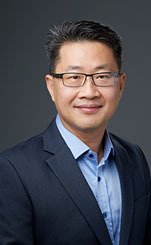 Later he joined a consulting company and became a member of the system infrastructure team leading the design of the next generation of container terminal management system. With solid background and strong experience in large-scale enterprise systems, Alex was instrumental in leading the team to engineer HA's mission critical systems using proven technologies. He is responsible for the technical aspects of the core systems. With a tertiary education in accountancy, Grace's interest and passion for understanding human behaviors has propelled her towards the human resources industry. She has over 20 years of experience working directly with clients, which includes the areas of training in system management & application, finance & administration as well as in procurement & logistics. She provides Talent Solution implementation guidance to Harrison Solution providers globally. Grace's expertise extends to all aspects of Harrison Solutions including Talent Acquisition, Employee Development, Succession Planning, Engagement & Retention, and Career Guidance. Shubhakar Gajula holds a PhD in Psychology and Master's Degree in both Psychology and Education. He is responsible for Research activities at HA. Shubhakar has over 10 years of experience in the areas of developing behavioral competencies through Research, Training and Counseling. His services are extended to Corporate, Universities, Schools, Police and Prisons. His contribution to organizations through research includes Performance Benchmarking, Cognitive Assessments, Data Mining and Data Analysis. His expertise is in development and statistical validation of Psychological assessments with a focus on cross cultural behavior. Shubhakar is certified in Dale Carnegie's Art of Facilitation and Facilitation Techniques for Requirements Development, ESI International from India. 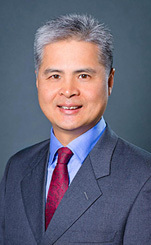 Before joining HA, he was part of Training team of a major IT services company. 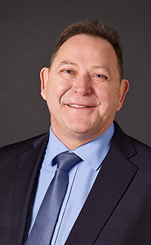 Charles May is a fellow of the institute of Sales & Marketing Management with a varied International business background covering Sales & Marketing, Project Management and HR ranging from Recruitment to training and development with senior management. His ability to communicate effectively and adopt a structured approach led him into management training in areas of appraisal, conflict management, performance management and leadership. He established a strong reputation in coaching and mentoring and is a member of European Mentoring & Coaching Council.